Which way to the lab? 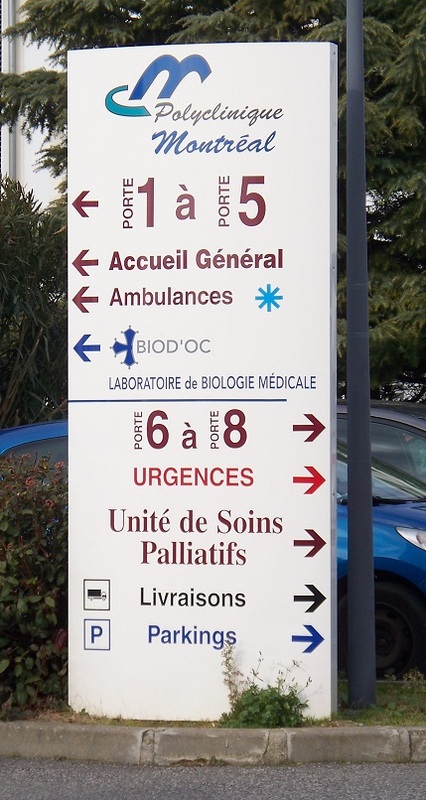 A couple of days ago I wrote about our first experience of going to a doctor in France and this is the follow up to that. Although we both have been going in for annual check ups in the US for years, that’s apparently not really the norm here. Your employer might require, and pay for, this kind of visit, but our neighbors have said that typically they see the doctor only if they are sick. We were still going to be more comfortable if we were at least in the files of a medical office near us, even if just to have a “no problems found” status. At the conclusion of that first visit, our new general practitioner gave each of us a prescription; not for a pharmacy but for a laboratory. It was for blood work and listed all the usual tests we had been getting for years including blood sugar, urea, cholesterol, triglycerides, etc. 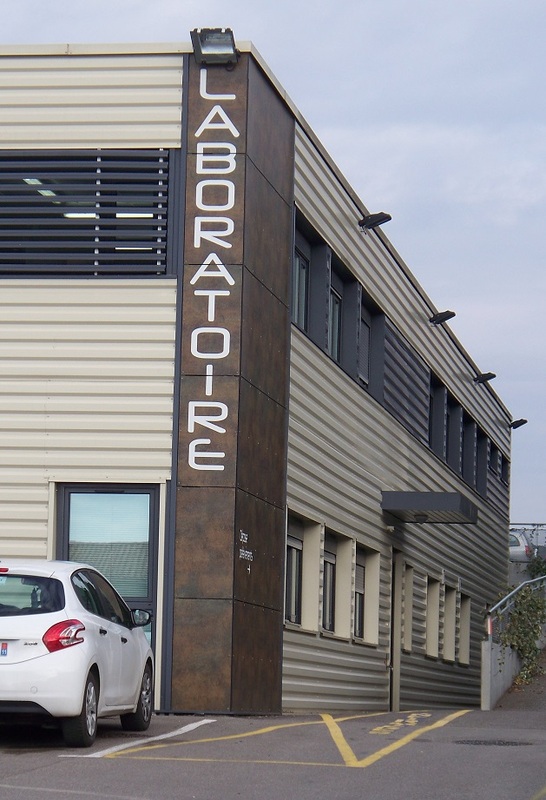 I had researched in advance the closest laboratory, about a 15-minute walk away, using the same government website http://annuairesante.ameli.fr/ I had used to locate the doctor, who confirmed my findings. Unlike other labs that are part of the same regional chain, our closest office does not offer online appointments. Luckily, a reply from one of the technicians there to my email said that we should just show up anytime between 7 AM and 7 PM, Monday through Friday or the same hours on Saturday with a break for lunch. Hooray, lots of flexibility and no phone call to make in French! We arrived at the lab the next morning at 8 AM where the receptionist took our prescriptions, asked for our address and phone number, and then directed us to the waiting room. Before we could even sit down, a technician called Bill into an examination room where she quickly took the blood and then asked him if he wanted a coffee. My experience, about 2 minutes later with another technician, was identical. On the way out I asked the receptionist about paying and she said we should do so that afternoon when we returned for the results. At home, we logged into the lab’s website where, 5 hours later, our blood test results were displayed. The report was broken down into 4 parts: Hematology, Biochemistry, Enzymes, and Thyroid with a listing of the 20 individual tests and their outcome. We returned to the lab that afternoon and paid the bill of 56 euros each. A year ago my US insurance company was billed 913 dollars for my annual physical check up that included a general blood test with the results available about a week later. This year in France the cost for a similar process was 79 euros (about 84 dollars) that we paid out of pocket and got the results the same day. Once we join the national health program that covers every person living in this country, that total price will go down to roughly 24 euros. By the way, a flu shot at the pharmacy costs 6 euros. Seems to me that we are being well cared for in our new home. Posted on February 8, 2017, in Life in France and tagged Americans in Carcassonne, Insurance, Life in France. Bookmark the permalink. 4 Comments. How do you join the government health program? I think my residence permit (mention visiteur) specifically prohibits that. I agree, even with private health insurance, medical care is better here. But if I could get a Carte Vitale it would be better still. Based on what we’ve read online, after 3 months of living in France you submit form 735 CNAMTS http://www.ameli.fr/fileadmin/user_upload/formulaires/735.cnamts.pdf and supporting documents (passport, visa, proof of address, income, etc.) to your local CPAM office. Once approved, you are assessed 8 percent of your household’s annual income for health insurance coverage known as PUMA. To find websites in English with more details, I used the search terms “puma health insurance france”. Our residence permit (carte de séjour) only prohibits our working in France, not paying for and obtaining the government’s universal health care. Owie, 8%. I assume that is 8% of your total income, not your French income. I think my private insurance, for which I pay about 6,000 a year, is cheaper, at least for me. It has first dollar coverage, so I’m not really price sensitive. Yup, agreed that healthcare is one of the major perks of living here. We pay into the system so it’s far from free, but no one has to worry about declaring bankruptcy after an accident or mystery illness. Similarly, vet care has been amazing and I can’t say enough about French vets (and their prices)!